Whether you are looking to wire your home, warehouse, or custom shopfront you can rely on D Willis Electrical to make your installations premium. We repair and install, taking care of your needs from start to finish. If you want the job done right the first time choose D Willis Electrical. Our team is highly skilled with electrical installations and ensuring everything is up to code standards. You have the peace of mind knowing every installation or repairs with D Willis Electrical is done right. From electrical switchboards and outlets to switches and fixtures, we take care of it all. Our team of highly qualified technicians have the cutting edge technology to trouble shoot and detect early electrical issues even before they happen. The last thing you need is a preventable issue interrupting your flow of business. D Willis are qualified electricians that will sit down with you to discuss your immediate needs. From there we will offer up our professional solutions and set up a plan of action that will get you up and running quickly and most importantly without issue. And of course if you come across any issues with the installation, we will rectify the situation so you don’t skip a beat. 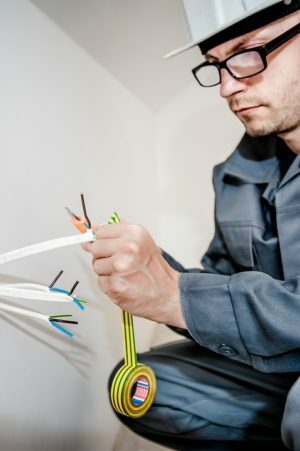 Whether you run a construction company, manage a manufacturing company, have a real estate or insurance office, or just run a busy household, let our dependable team of electricians keep you up and running. Building and designing is another service we offer. We communicate clearly early on project parameters often strengthen the overall design and layout to serve you better. Our expertise is electrical and our focus is to make sure we earn your business long-term…and we will!